Back in October, I mentioned reading two romances that had a strong You've Got Mail vibe. The first book was Big Bad Cowboy by Carly Bloom. The second book I mentioned was Nancy Naigle's Dear Santa. If you are a fan of the movie You've Got Mail and you love holiday romances, then you have to read both of these books. 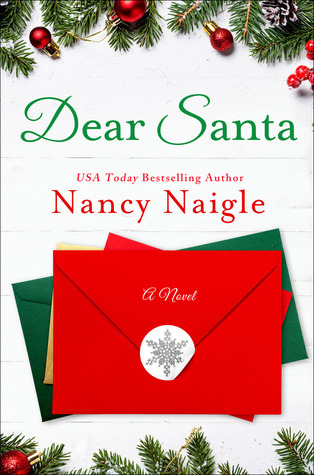 In Nancy Naigle's fun holiday romance, Dear Santa, readers are introduced to Angela and Geoff, two characters who couldn't have more different views of Christmas. Angie loves Christmas. She kinda has to considering she runs Heart of Christmas, a store that celebrates the holiday all year long. Geoff, on the other hand, is a bit more jaded. All he sees are the numbers. Angie wants to keep Christmas personable with handmade items while Geoff is all about the mass market. Put the two of them in the same Christmas loving town and watch the tension rise between them. I friggin' adored Dear Santa. It made my You've Got Mail loving heart sing. The funny thing is that I don't normally read clean romances where the couple don't even kiss, but I could not get enough of this one. I spent most of the book torn between wanting them to lock lips and also wanting them to wait until the big reveal. I loved the characters and the situations they found themselves in. I loved the setting. Honestly, I wish this was the beginning of a series. 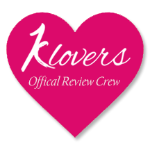 That's how much I adored the characters. All of the characters, not just Geoff and Angie. If you are a fan of You've Got Mail, read this book. If you're a fan of Hallmark Christmas movies... Read. This Book. I wouldn't be surprised if it gets turned into one next year. Loved it to pieces.